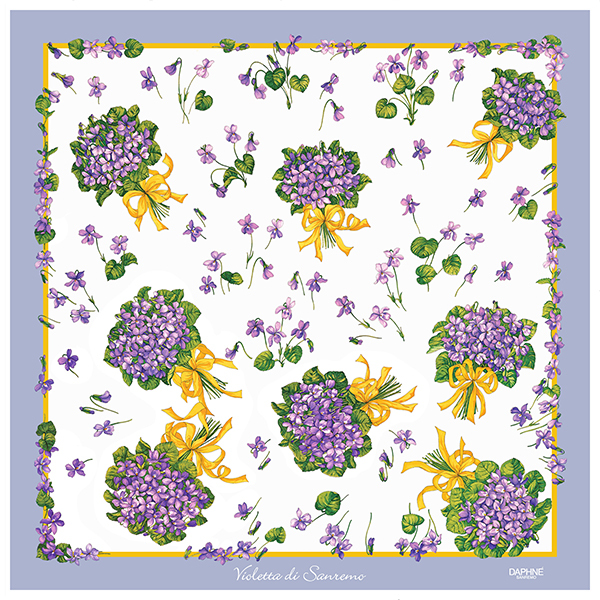 The famous Maison Daphné represents the perfect example of handmade tradition and Made in Italy as it is committed in the creation of fashion collection, especially of foulards and perfumes inspired to the flowers of the Riviera. On the occasion of the Europe Cup 2016, the European Championship of Floral Art where the experts of the sector met on the 8th and 9th of April, Daphné presented its last collection. It is characterized by silk foulard inspired to the flower of hellebore, also known as Christmas rose and symbol of the Istituto Regionale per la Floricoltura in Sanremo on the occasion of the project aimed at promoting the territory and re-using the abandoned greenhouses. Another foulard that could boast to be designed by the same Maison of Sanremo could be found at the stand of the municipality of the City of Flowers, always during the Europe Cup, and this time it was dedicated to the buttercup. The binomial flowers and fashion found breeding ground at this manifestation that allowed to understand and interpret at its best the role and the importance of floriculture put side by side with the excellence of Made in Italy in terms of fashion.